The factory of Peterhead-based Mapco was left in tatters after gale-force winds and massive waves battered the port in 2012. 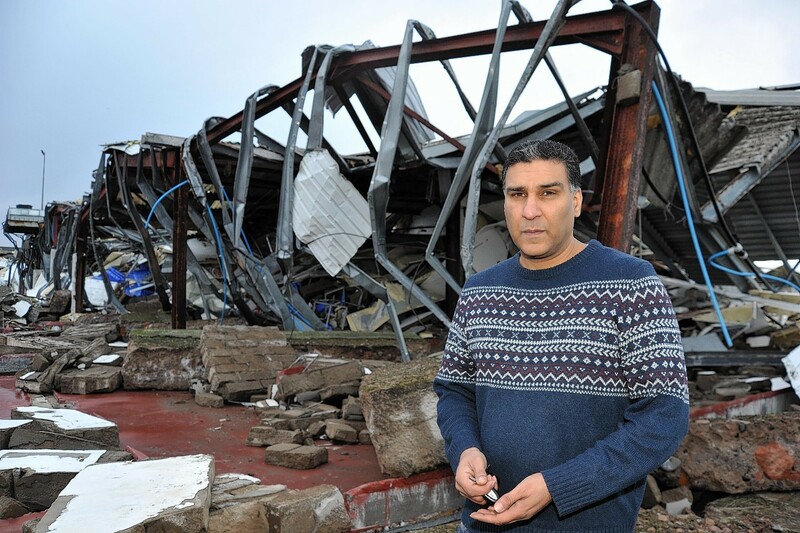 Nearby homes were also destroyed in the storms which hit the north-east just days before Christmas. Now the company is about to begin production again, just months after work began on a replacement facility. Owner Nasar Rashid hopes to take on new staff as well as some former employees in order to begin processing fish to be sent to third-world countries. He said: “Hopefully it will create wealth. These people will be paying rent, will be paying council taxes, will be buying food and drink. The storms of 2012 wreaked havoc along the north-east coastline with Peterhead, Lossiemouth and Stonehaven hardest hit. Mountainous waves and gale-force winds battered the harbour area in the worst storms Peterhead had seen in more than 70 years. The Scottish Government later offered harbour bosses up to £250,000 for repairs. Peterhead port leaders said the storm caused about £3million worth of damage locally, although only half of this was insurable. A new seawall has been built to protect the area from freak waves in future. Plans for a £4million replacement Mapco factory were lodged on the same site at Gerrie’s Yard in July last year with work finally getting under way in February. Port officials have welcomed the completion and the boost for the town’s economy.